Hi everybody! I hope you're having an awesome day so far. :) I'm back with another review, and this time is a hair care product. 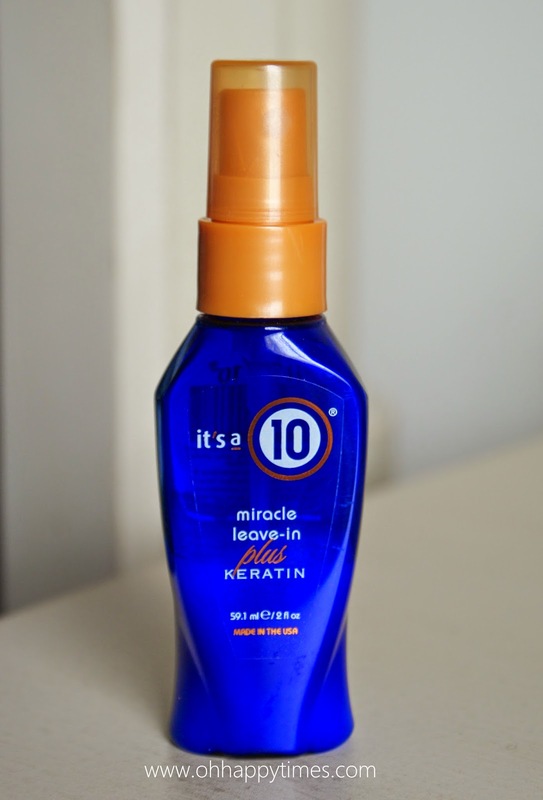 This is the It's a 10 Miracle Leave-In Plus Keratin . This product was included in my January Birchbox. I was really curious how this product will work on my hair when I first saw it. The direction is pretty simple: Shampoo and Condition hair, Towel Dry, Spray the product all over your hair, and comb through. Easy right? My Thoughts: It's probably hard to see on the photo, but this bottle is half empty.lol I have been using it since January and until now. I have a thick straight hair, no hair dye added. Using this product doesn't feel heavy at all. It is very lightweight and not greasy. I followed the direction when using it. And it's so soft to comb through, that it detangles hair easily for me. When my hair gets dry, it is definitely more polished and looks extra healthy. It's long lasting too. Love it already for that! I hope you guys enjoyed today's review. Remember to only use products that is best for your hair. Thanks again for joining me today. This is one of my favorite leave-in conditioners! In January I was in Target and out of the corner of my eye I saw a bottle of this and it was a buy two for $23! Normally one is $20, so I just had to get it! What a great deal haha!! This stuff is a life saver! It's crazy how many people don't know about it!